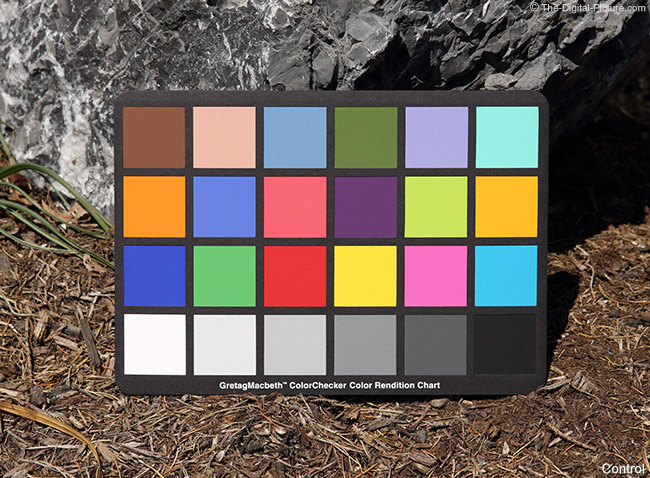 Neutral density filters reduce the amount of light reaching the camera's imaging sensor. The light reduction is even across the visible spectrum (or it should be). With less light reaching the imaging sensor, a longer exposure or a wider aperture can be used. The wider aperture can be used to avoid the effects of diffraction or to achieve a shallow depth of field under even full sunlight. A 10-stop neutral density filter is an extreme version of a neutral density filter, reducing the amount of light transmitted by 1000x. Ten stops, 3.0 density, 1000x and #110 all refer to the same extreme density – practically black. I like to refer to these filters as "Black Filters". While I selected a 10-stop ND filter for this review, the 9-stop variant is nearly as extreme and is also both commonly available and quite popular. That said, a 10 stop ND filter allows 1/2 as much light to pass through as a 9 stop ND filter does. If the 9 stop filter results in a 30 second exposure, a 10 stop filter will provide a 2x longer 60 second exposure that will make a noticeable difference with certain subjects. 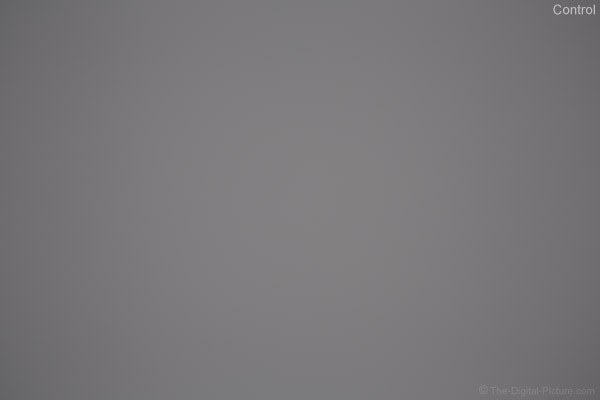 For example, clouds will create blur paths that are twice as long. Because the amount of light reduced by a black filter is so extreme, use of these filters is almost exclusively directed toward motion-blur. If you want to create significant motion blur under full sunlight, you want at least a 9-stop variant and 10-stops may not always be enough for your application. You can't see the Siemens Star Chart through this filter and you can't see much through the viewfinder with one of these filters mounted. A full sunlit scene appears as dark as under very bright moonlight with a 10-stop filter in place. Move indoors and the viewfinder becomes practically useless. Surprisingly, my 5D Mark III's AF continues to work (albeit slowly) even indoors with a black filter mounted as long as the subject has a good amount of contrast. Ideally, 10-stop ND filter composition is done before installing the filter or via Live View with the filter mounted. Live View provides the bright image needed to clearly see what is in the frame. Since these filters are used for long exposures, a tripod is usually required and with a tripod in use, either composition method will work well. Even a scene and aperture that can deliver a 1/8000 shutter speed without an ND filter in use requires a usually-too-long-for-handholding 1/8 second shutter speed with a 10-stop ND in place. To establish my with-ND-filter exposure, I prefer to first determine the correct without-filter exposure at my desired aperture and take a test photo to confirm. If the histogram looks right, I then lock the aperture and shutter speed into manual mode settings. If the exposure time remains within my camera's limits (30 seconds), I usually roll the shutter dial 30 x 1/3 stop clicks (more later) and install the filter (being very careful to not change focal length setting on a zoom lens that extends). Review some of your past images to see what exposure length you would have achieved if using a 10-stop ND filter. Below is a list of full stop shutter speed increments in minute:seconds or seconds-only format to use in that determination. If you exceed the camera's longest exposure setting and don't want to do the exposure conversion in your head or if you would rather not count clicks, there are ND filter exposure calculator apps available for your mobile device. These apps (including Long Exposure (LE) Calculator and NDExposure) will provide you with the exposure time conversion. Some of these apps (including the two just mentioned) provide another tool potentially needed for black filter photography – a timer. If not shooting under full sunlight, black filter exposure times can get very long – possibly much longer than your camera's longest built-in exposure time (30 seconds for Canon). The camera will need to be set to Bulb mode, allowing the shutter to be locked open for a desired length of time. In bulb mode, a remote release is needed for starting and stopping the exposure and a method of timing the exposure is needed (such as a timer app for your phone). A great option for controlling a long exposure is the Canon Timer Remote Controller TC-80N3. This remote controller allows (among other features) exposure durations to be programmed and then takes full control over the exposure. A challenge that can also be time consuming is finding the right composition for a 10-stop ND filter exposure. This typically means finding a moving subject that will look good when blurred along with a motionless subject(s) to anchor the frame. The in-motion subject is quite frequently water or clouds and the motionless subject is frequently the shore or buildings, but there are no limits to the creativity available for using ND filters. Want to remove moving people from a city or other scene? Shooting a very long exposure can often successfully remove the human distractions. Moving people often will not be in any specific place long enough to be rendered as part of the long exposure image. I discussed exposure calculation briefly, but if the light intensity on your scene is changing (such as from the effects of clouds moving through), predicting what the light will be like 1 minute into the exposure can be quite challenging. Long exposure setup takes time and the length of those long exposures are time-consuming by definition. When the exposure times reach into the minutes you are going to want your setup to be perfect. Post processing to correct white balance issues can increase your time spent with black filter images (I'll explain) and shooting a gray card for custom white balance requires an also-long exposure. Because a multi-minute exposure gives you time to do something else, having two cameras to work with simultaneously can greatly increase productivity. Fortunately, the effort required for black filter setup and use is definitely worth the results achievable with these filters. I love the motion-blurred effect creatable with these filters and have long wanted to add a 10 stop ND filter to my own kit. Until now, I have resisted the urge to buy one of these filters primarily for one reason. My first priority in writing this review was to determine which currently available 10 stop ND filter is the best. While it would be nice to simply pick the brand filter you want or the model with the lowest price, like everything else photographic, there is a lot more to filter selection than brand and price. Even when selecting a filter designed to prevent light from entering it. The reason I am just-now adding a black filter to my kit is because of a color shift problem they seemingly all have had. I simply didn't want to deal with the post-processing challenge of removing the strong red or blue color cast so often delivered by these filters. It was the announcement of the Hoya PROND neutral density filter line that caught my attention and added a line item on my to-review list. Hoya stated in their announcement that the "Metallic ACCU-ND coating on the PROND filters does not color shift as you move from one density to the next, a common problem with other series of neutral density filters." While this statement does not directly say that there is no color cast with the PROND filters, going from a 2-stop ND to a 10-Stop ND without color shift basically says to me that there is no color shift with the 10-stop filter. I chose an 82mm thread size to match the lenses I most wanted to use the filter on – all wide angle lenses. In addition, I can use a step-up adapter ring to use this filter on smaller filter thread diameter lenses (though perhaps without a lens hood). The downside to the 82mm model is the increased size and cost. With filters in hand, let the testing begin. If you would rather skip the tests and details, jump down to the 10-Stop ND Filter Results Summary. The first image quality comparison was captured in my studio/lab. A big advantage of studio/lab testing is the complete control over all aspects of the image capture. Lighting for this test is from 4000 watts of Photoflex Starlite tungsten lights in a pair of daylight-balanced Photoflex SilverDome softboxes. Tungsten lights were chosen for their near-best-available full spectrum output. The subject I am showing is a Kodak Gray Scale and Color Control Patches target. The Kodak target is part of a much larger test target (the same target I use for testing camera ISO noise). Manually-exposed images were captured from a Foba Gamma Studio Camera Stand-mounted Canon EOS 5D Mark III with a Canon EF 24-70mm f/2.8 L II USM Lens set to 31mm with an f/4.5 aperture. These settings resulted in a 1/20 sec sans-filter control image exposure time and an exactly 10-stop increase to 64 seconds was used for the with-filter exposures. Manual focus was used and the focus and zoom rings were gaffer-taped to insure no movement. A Canon Timer Remote Controller TC-80N3 was used to trigger and time the exposure. This test was performed twice to insure repeatability and more additional tests are shown below the first test results. Below each test image in this review are two rows of mouseover links (click on them if you are using a mobile device). The first row of links will show the results for all filters using a custom white balance established on the center of the fifth-brightest gray scale block of the control image. White all images using the same white balance, any difference in color from the control example is color shift caused by the filter. The second row of links shows the results of simple white balance adjustments being performed on each image individually. The custom white balanced was established by using the center of the fifth-brightest gray scale block from within the same image. I need to clarify that this "simple" white balance adjustment requires a gray card image or requires that a neutral color be present in the image to base the custom white balance on. Otherwise, black filter white balance adjustment can quickly become complicated. Shooting a 5 minute white balance photo may be faster than individually adjusting an image or series of images. The brightness of the second row-controlled images was adjusted for a 154,154,154 RGB value at the same point in the image used for white balance – to match the control image. The brightness adjustments for the first test were as follows: B+W: +.33, Heliopan: +.05, Hoya: -.38, Singh-Ray: -.63, Tiffen: +.52 Filter images that needed brightness reduction are effectively blocking less light than those needing brightness increased. Note that the brightness of the first-row-presented Hoya image in the first test was reduced by 1/3 stop and the Singh-Ray by 1/2 stop. The slight overexposure made the results from these filters appear slightly washed out prior to making these adjustments. These are 100% resolution image crops taken from approximately 1/3 from center into the full frame image circle. A DPP sharpness setting of "2" (very low) was used. As you view the test images presented by the top row of links, you are going to see the color casting issue I was referring to made very obvious. The Tiffen is the least expensive filter of this group, though definitely not cheap in the 82mm format. Sometimes you get what you pay for, but ... I don't think you get even close to what you paid for with this filter. The color cast is terrible and the contrast is extremely low. I have to admit that I was rooting for the Hoya ProND1000 in this competition. It has a reasonable price and, being a newer model, I was optimistic that the color cast issue had been resolved. I was excited to discover that this filter is nearly color-cast-free – the best of the group. Unfortunately, I discovered that this filter has a bigger problem. Notice the sharpness of the big white letters? That is not camera motion. This effect was not evident in any other filter test image (including those immediately before and after) and the same effect is in the Hoya's results in all tests I performed. The center of the image is sharp, but increasing farther out into the image circle is a center-directed shadowing/ghosting that destroys acuity. The corners of this image look much worse than the results shown above. The mid-priced Heliopan and B+W filters both show a moderately strong red cast, but both take a simple custom white balance very nicely with bright reds remaining a bit strong and blues a bit dark. The contrast and sharpness of their resulting images is very nice. The Singh-Ray filter delivers nearly the color performance of the Hoya, but retains much better image sharpness. From this first test, we prove that we can't always take the marketing department at face value. Singh-Ray claims "Mor-Slo filters are especially adept at maintaining neutral color fidelity and minimizing color casts that are inherent to such strong densities; however, a slight warming of the image can be expected due to the exaggerated exposure length needed to compensate for the 3.0 density." In contrast, Tiffen states "Reduces amount of light passing through camera lens without changing color of scene." Singh-Ray's marketing is being very-analytical while Tiffen's statement was more likely theoretical (or hopeful). The late-arriving X4 (formerly X3) was not included in this test. With just a few tiny distant clouds in the sky (not affecting scene lighting), I grabbed an X-Rite ColorChecker and took this comparison test outdoors. Comparison-worthy outdoor lighting occurs only under a clear sky, avoiding any lighting differences caused by the clouds moving through. While indoor testing is the best controlled, you will likely be using a 10-Stop ND filter outdoors most of the time. So, outdoor testing is quite relevant in this case. I shot several tests using three high grade lenses: the Canon EF 24-70mm f/2.8 L II USM Lens, Canon EF 16-35mm f/2.8 L II USM Lens and Canon TS-E 24mm f/3.5 L II Tilt-Shift Lens. I did not notice any filter differences across these lenses. The outdoor results presented below were captured with a Canon 5D Mark III and EF 24-70mm L II Lens set to 70mm, f/8 and mounted on a Gitzo GT3542LS Tripod. Only the Singh-Ray image was brightness-reduced (by 1/6 stop) in the top row of both pairs of results. The Breakthrough Photography X4, tested at a later date, was brightness increased by 1/3 stop in the first set of results of its test. The third-brightest gray scale block was used to color correct the second set of images and to brightness adjust to a 202,202,202 RGB value. The brightness adjustments were: B+W: +.67, Heliopan: +.38, Hoya: 0.0, Singh-Ray: -.31, Tiffen: +1.17, Breakthrough +.2. These center-of-the-frame images are modestly cropped and then reduced. The Tiffen filter is looking significantly better in the outdoor test, but in the equalized image, it still shows very low contrast. Notice how much brighter the Tiffen black square is than the control image's black square? From a color perspective, the Hoya is looking amazing and the Singh-Ray filter is again only slightly behind the Hoya in its neutral color rendition. The later-tested Breakthrough X4 is looking great in the second set of tests. The Heliopan and B+W filters once again perform very similarly to each other, showing strong red color casting before correction and very good image quality after correction with reds remaining bright and blues remaining dark. Aside from the Tiffen, these filters all show very good contrast. And aside from the Hoya, these filters show very good image sharpness. Zooming the corrected images from the outdoor test to 100% and cropping from just-below-left of the ColorChecker provides a sharpness comparison. Sharpness setting of "2" (very low) was again used. Don't confuse color differences with a change in sharpness. You are going to struggle to see much sharpness difference in these images aside from the Hoya example. This crop is from mid-image-circle and unfortunately, the Hoya worsens as the image circle radius increases. Not noticeable in cropped images above is that most of the 10-stop ND filters cause peripheral shading. This shading is not caused by the filter ring blocking light, but from the filter density design itself. The test below was again carried out by a 5D Mark III and a TS-E 24mm f/3.5 L II Lens. With the TS-E lens' extra-large image circle, filter rings can be ruled out as having any effect on the results, leaving any vignetting beyond the control sample to be caused by the filter itself. The following results show entire frames in reduced size. The center of the image was used for the correcting white balance adjustment and to level at a 130,130,130 RGB brightness value. The brightness adjustments in the second row results were: B+W: +.67, Heliopan: +.33, Hoya: -0.05, Singh-Ray: -.33, Tiffen: +.67, Breakthrough: +.5 stops. The vignetting is very obvious in these test samples and it is very obvious in real world images as well. Only the Breakthrough and Hoya filters do not substantial amounts of vignetting and the others are practically identical in this regard. The peripheral shading increase is measured at about 1.8 stops in the full frame corners using the DPP Standard Picture Style contrast curve. While vignetting is desirable in some images, drawing the viewer's eye to the center of the frame, I would always prefer to add the vignetting in post processing. Vignetting can be corrected in post processing, but lightening corner brightness by 1.8 stops will likely result in additional noise seen in the results. Additionally revealed in this comparison is that the Hoya has slight color shift across the frame, with the peripheral image circle becoming slightly more red-toned than the center. The Tiffen also shows some of this characteristic. A positive brightness adjustment value means that I increased brightness by the indicated number of stops beyond the 10-stop in-camera exposure adjustment. A negative value of course means the opposite. The strong color shift of the B+W, Heliopan and Tiffen filters adds confusion to the value of these results. Singh-Ray, Hoya and Tiffen utilize an aluminum ring while the Breakthrough, Heliopan and B+W feature brass rings. According to Schneider Optics, "Aluminum rings will often bind to the aluminum housing of the lens. Brass will not bind to aluminum, making it the superior choice for filters." Aluminum is lighter, and if mounting the ND filter to a brass CP filter, aluminum may become the desired ring material for the reason Schneider states. Filter ring thickness can become a physical vignetting issue when using filters on wide angle lenses and black filters are most commonly used on wide angle lenses. Some filters are available in a thin mount (lacking front threads) and some are simply made thin. In this comparison, only the Singh-Ray offers a thin mount option (shown in the table above) while the others may or may not use the second option. The dimensions shown in the above table are actual caliper-measured outside ring thicknesses (excluding the threads). 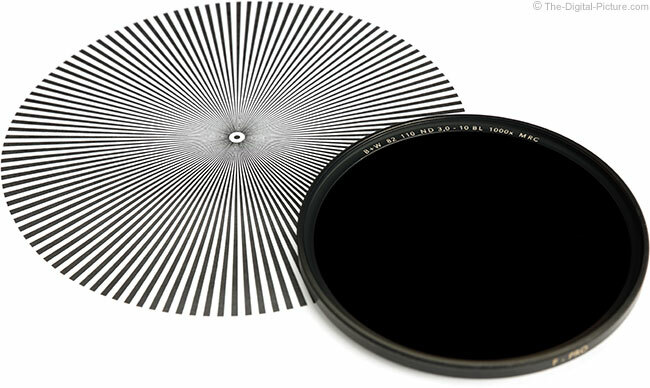 By moving the glass closer to the lens, Breakthrough, B+W and Heliopan created filters with front threads that are thinner than Singh-Ray's slim filter with no front threads (it cannot use a standard lens cap). Even if vignetting is not a problem with a standard thickness filter mounted on your lens, you may want to stack filters. The stacking of course increases the overall filter ring thickness which increases likelihood of physical vignetting becoming a problem. I recommend stacking a black filter on a circular polarizer filter to combine the effects of both. I have been using the Singh-Ray mounted to my B+W XS-PRO CP filter, a slim filter with front threads. I rotate the CP filter for the desired effect and then make sure that the outer CP filter ring retains its position while the black filter is threaded on. A CP filter reduces the light transmission by another stop or two, which you will probably consider a welcome effect in most situations. To decrease light transmission beyond your 10-stop ND filter, stack another neutral density filter with it. Below I list the reviewed 10-stop neutral density filters in ascending order of my recommendation. Note that the popular and reasonably-priced Lee Big Stopper 10-Stop ND Filter was not included in this comparison review. I needed a threaded round filter, but the Big Stopper is only available in flat rectangular sizes. I will consider the addition of Big Stopper results to this page at some point in the future. 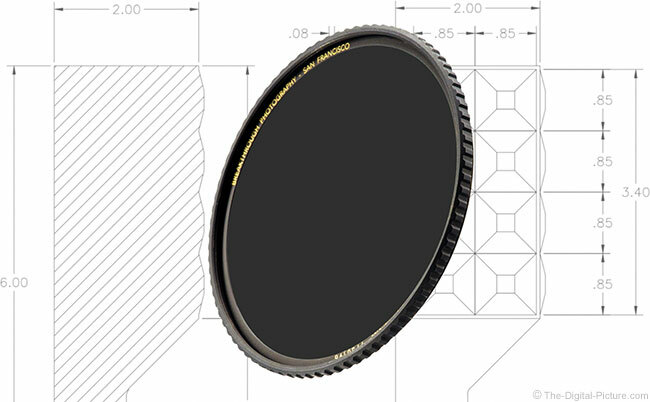 Tiffen offers their 10-stop ND filter in a wide range of thread sizes with an aluminum ring. This is the least expensive filter in this review, but ... it has dreadful color shift and poor contrast. Tiffen makes some good products, but I'm not at all happy with this one. Cross this option off of your list. The Hoya ProND1000 is available in a wide range of thread sizes in a relatively thick aluminum ring This filter has a very nice price tag – only the Tiffen and B+W non-MRC are priced lower. Hoya only specifies "metallic ACCU-ND" in regards to the coating on this filter. The new-at-review-time Hoya ProND1000 promised great things in regards to its lack of color shift and it delivers on that promise. Prior to the Breakthrough Photography option arriving on the scene, this filter easily won the color balance contest and was the only filter in this comparison that does not increase vignetting. Unfortunately, the Hoya leaves this contest early with a sharpness/ghosting problem. I have been in touch with Hoya's support in regards to this issue and am waiting on their analysis of a test images I provided them. If Hoya provides me with a solution, I would consider a re-evaluation of this has-great-potential filter. Update: Hoya (Kenko Tokina) has replied to my support request: "The factory states that the effect shown in the photo indicates a possible ghost image coming from the camera’s viewfinder or other internal reflection within the camera’s optics. Since the filter is made of a single piece of glass, a ghost image from that singular optical structure is not capable of causing this phenomenon." I agree that the issue appears to be ghosting (though not from the viewfinder as it is blocked by the mirror during the exposure), but this remains a big problem that the other filters in this group do not have. This Heliopan filter is available in a wide range of thread sizes with a thin brass ring that includes front threads. Heliopan does not specify that their SH-PMC multicoating is used on this filter. This filter exhibits a strong red color shift, but when corrected, the results are very nice with good contrast and sharpness. Since this filter and the B+W perform very similarly and the B+W has a nicely lower price tag, I'll recommend that you move to the next recommendation unless the 4.0mm vs. 4.5mm ring thickness is important to you (and it may be). The B+W filter is available in a wide range of thread sizes with or without MRC (Multi-Resistant Coating) only in a relatively thin standard brass ring. The non-MRC version of this filter is only slightly more expensive than the lowest-priced Tiffen option, but I recommend getting the better coating. The MRC-coated filters are priced a step above the Hoya but still noticeably less than the similar-performing Heliopan. This filter exhibits a strong red color shift, but corrected, the results are very nice with good contrast and sharpness. This is a high quality filter with a moderate price, making it a good value. 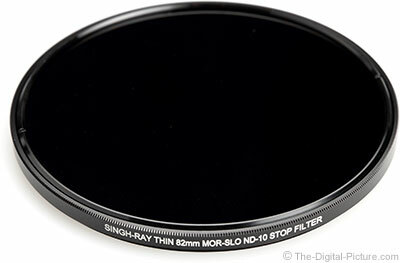 The Singh-Ray Mor-Slo ND filter is available in only 77mm and 82mm thread sizes in thin mount (no front threads) or normal thickness along with some square format versions. This is a very expensive filter, costing nearly twice as much as the second most expensive option in this review, the Heliopan. However, this filter was, until the Breakthrough X4 arrived, easily the best of the group. You will not spend great amounts of time adjusting your images for color shift and your images will be sharp. This is the filter I had in my kit until the X4 came. The Breakthrough Photography X4 ND filter was a late arrival to this page, not becoming available until long after the initial group review was completed. Breakthrough sent me an evaluation filter along with some very strong claims including: "The X4 ND is the world's sharpest and most color neutral ND filter." Well, that is what I'm looking for, so I was persuaded to spend the time testing the X4 head-to-head against my previous favorite, the Singh-Ray Mor-Slo. Turns out they were arguably right. While I have a hard time discerning any sharpness difference between the Singh-Ray and the X4 and the two are similar in color-neutralness, the X4 has far less vignetting, provides at least the 10-rated stops of neutral density and has a very significantly lower price tag. Other X4 advantages include a CNC machined brass "traction" ring (for a better grip including with gloves, avoiding stuck filters) and front threads that play well with standard lens caps and allow filter stacking. Breathrough Photography is a relative newcomer to the filter industry, and they are producing products to compete at a variety of quality levels and price points with the X4 designed to be the best-available filter. X4 ND filters feature ultra-clear German-made SCHOTT B270 Superwhite crown glass with Breakthrough's state-of-the-art MRC16 and nanotec coatings applied to increase surface durability. Instead of using high temperatures to adjust the color profile, the X4's color profile is adjusted using advanced coatings. Breakthrough claims: "Our state-of-the-art coating process allows for very precise color profile adjustments, the end result having less color cast than all professional competitor filter manufacturers ..."
Backed by a 25 year guarantee, the X4 weather-sealed ND is "... built to withstand extreme wind, salt water, dust and other abrasive conditions and elements ..." No need to worry about the lettering on this filter wearing off as all specifications are laser engraved into the electroplated black matte frame. Arriving in nicely-designed packaging including a plastic filter box, the Breakthrough X4 ND filter is available in variety of common thread sizes. For most, it makes sense to get one of the larger filter sizes even if your current lenses have smaller filter threads as you will likely acquire a 77mm or 82mm-threaded lens at some point. Use a step-up ring to adapt the larger filter to smaller threads. Breakthrough also sent step-up ring samples and these products work great as do their lens caps (you might want one to fit the filter if using a step-up ring). I tested it last, but it placed first overall. As with the Singh-Ray, you will not spend great amounts of time trying to adjust your images for color shift when using the X4 and your images will be sharp. With best-available performance and a price tag at less than half of the Singh-Ray, the deal will be sealed for most photographers. Filter models selection can make a huge difference in the results you obtain when using a 10 stop neutral density filter and using a 10-stop ND filter can make a huge difference in your results. A black filter is a tool that can take your images from mundane to amazing, even in the middle of the day.